Six winners advanced from the First Round, which three will take the next step? 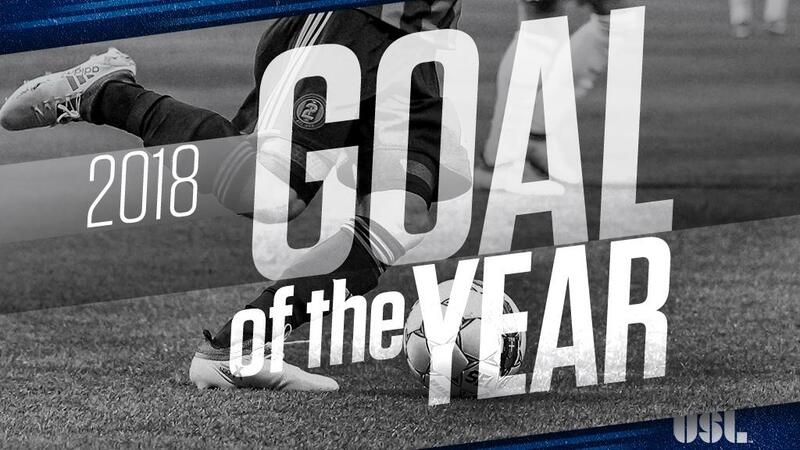 TAMPA, Fla. – Six standout strikes from the 2018 USL season have advanced one step closer to being crowned as the 2018 USL Fans’ Choice Goal of the Year, with three matchups set to decide the first three goals to reach the Semifinals next week in the knockout format that will be decided by a fan vote on USLChampionship.com. Among the big winners in the First Round were Rio Grande Valley FC’s Jesus Enriquez, who recorded the highest poll number with 72 percent in his matchup with Sacramento Republic FC’s Matthew Harding. San Antonio FC’s Alex Bruce and FC Cincinnati’s Kenney Walker also came in at 66 percent in their respective matchups, while the Swope Park Rangers’ Wan Kuzain claimed the narrowest victory as he knocked off USL Golden Boot-winner Cameron Lancaster of Louisville City FC with 53 percent. For the six goals that were eliminated, next week’s vote in “The Rebound” awaits, but here are the next three matchups. Voting will continue through 12 p.m. ET on Monday, December 10.